Store your cigars in this impressive, handsome humidor from Savoy by Ashton. 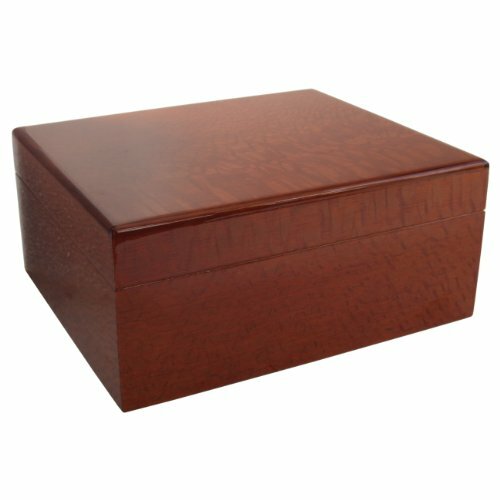 Sure to impress friends and guests, this sleek Beetlewood humidor is perfect for a desk corner or table, and especially complements wooden furniture. The interior is lined with premium Spanish cedar, and has one divider. Best of all, it comes with a humidifier and hygrometer, giving you the ability store up to 25 cigars in the perfect humidity. If you have any questions about this product by Savoy, contact us by completing and submitting the form below. If you are looking for a specif part number, please include it with your message.